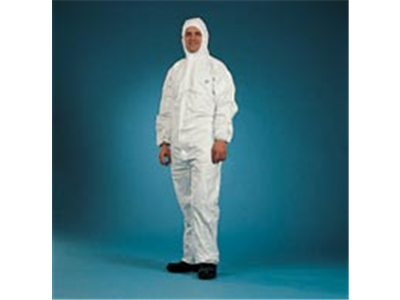 Hooded, elasticated waist, elasticated arm and leg openings, sewn seams, two-way zip with flap, white coverall, European Standards for Chemical Protective Clothing (Types 5 and 6) approved. 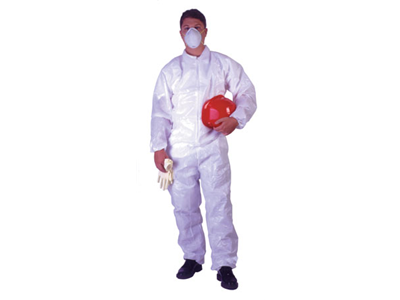 Collared, elasticated waist, elasticated arm and leg openings, sewn seams, two-way zip with flap, white coverall with self adhesive pocket, European Standards for Chemical Protective Clothing (Types 5 and 6) approved. 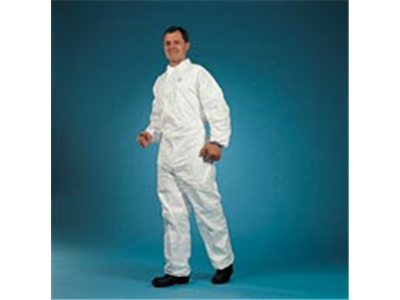 Tyvek Pro-Tech C garments meet the seam-tightness requirements and whole-suit performance tests defined by the new European Standards for Chemical Protective Clothing of types 3, 4, 5 and 6. It provides added protection with optimal comfort. Outstanding protection against: Inorganic acids and bases Impenetrable by blood and blood borne pathogens. Antistatically treated (inside surface). 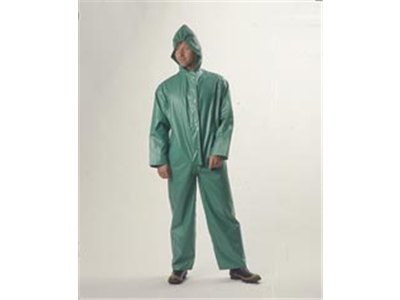 This protection coverall is suitable for short use tasks. Features include: Protection against water based splash and spray. Protection against dust, dirt and low toxicity chemicals. New design allows extra movement for a better fit and improved comfort. Suitable for asbestos related work, handling powders, generals, maintenance, constuction utilities and contract cleaning. Each coverall is individually packaged. This coat is suitable for personal protection and hygiene. 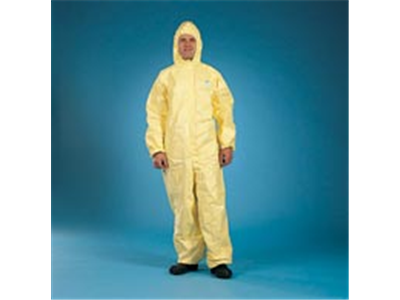 Features include: Anti-static (EN 1149-1)and chemically repellent. Superb styling with back vent for freedom of movement, collar, popper Fastening, breast and hip pockets. Combines style, comfort and protection. Avoids need for laundry and rental systems. 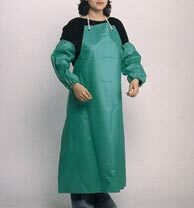 Apron: Made from PVC coated nylon, they offer splash protection to the front of the body. Supplied complete with ties. Sleeves: Protective sleeve, elasticated. 15″ in length. 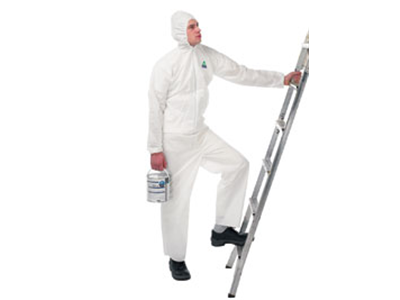 The Northylon range of garments is made from NCN101 PVC coated nylon (339g/m2) which offers excellent resistance to acids, alkalis and other hazardous chemicals. All seams are sewn and welded to provide increased protection in vulnerable areas.